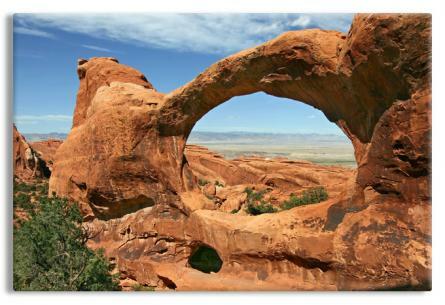 The Double O Arches at Arches National Park in Utah. The park is know for its variety of unique geological resources and formations. This is a truly excellent print when presented as a gallery wrapped canvas.